The printing revolution, was without a doubt, the main catalyst behind the Renaissance of Europe along with the Age of Enlightenment. 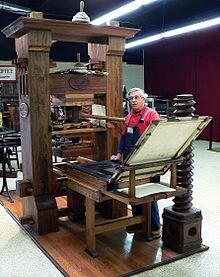 Apart from the early periods of painstaking handwritten papers and scrolls, the invention of the Gutenberg printing press catapulted a new era of mass communications into orbit, which began in the 1440’s. Johann Gutenberg’s primary objective was a printing press that would mass produce the Holy Bible. Yet, this remarkable invention also brought a mountain of additional old and new knowledge to the ends of the earth which had never been read by most people in the history of the world. The relatively unrestricted circulation of information and also any revolutionary and philosophical ideas, began to cross borders and oceans and opened the eyes of millions who had for centuries been either living in the dark ages or had been subjects to rogue political and religious orders that lorded their authority over the masses for centuries on end, but for the sake their own power, control and money. And for those who were either lords, kings or priests, the new “information age” of newspapers and books threatened not only the elite’s comfort zone, but their own authority which they exercised upon the people. Thus, Kings, Emperors, and the Church of Rome, sought ways to deal with the increasing literacy rate that was now muddying the waters of secular, political and religious doctrinal beliefs. As a consequence, and which may be of great interest to many today is this. These royal elite’s then devised a culture of censorship which in effect guarded their agendas and was very similar to what our own mainstream media is presently doing today, whether it be in America or any other country in the modern world. Historically, one example of the early examples of censorship occurred in the early period during the reign of the German Emperor Charles V (1500–1558) At that time, censorship was primarily driven by the Protestant Reformation which gave rise to a flood of pamphlets and contentious and argumentative texts which raised tensions among the population of the Holy Roman Empire of the German Nation. The primary aim of censorship which followed saw resolutions passed by various Imperial entities in order to suppress these publications. An imperial edict of 1521 actually banned the writings of Martin Luther (1483–1546). “From this point on, every text had to be approved by an officially appointed censor prior to printing. The means of controlling printing were repeatedly supplemented and enhanced during the course of the 16th century by decrees of Imperial Diets and by judicial and policing ordinances. And the authorities did not restrict themselves to the censorship of printed texts, but extended censorship provisions to images, and even mold casts and wood carvings (in 1548).” The tentacles of government even spread to the cities that had universities. Printing shops were subject to unannounced inspections and led even to the burning of books. Now then, it is important today to reflect upon the “centralized” censorship theme that was present then, as it preceded today’s “New Information Age.” And though America has first amendment protections with regard to freedom of speech and of the press, we are in no way absolved or even protected from experiencing censorship in one form or another. In our new and improved technological age, whereby mega-corporations and/or governmental influences shape the news, there is a major censorship campaign as well as false reports. The truth seems to be getting harder and harder to find. However. There is something that Big Media didn’t count on and that was the internet and alternative news sources which are part of the new information age which has really and truly upset the Big Media apple cart. You can call it Info Wars or what have you, but the alternative news has confounded the Associated Press, BBC and the rest of the glorified media cartels and they are shaking in their boots. 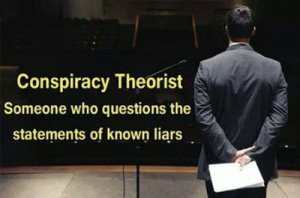 Whether it be false flags, false reports, or big money that may attempt to steer a story one way or another, mainstream media is reeling and is presently fighting a losing battle. As of late, the Sacramento Bee of California and other news sources must be feeling the heat of withholding information, so in a mega news leak, several McClatchy journalists joined more than 370 journalists from 78 countries in the largest media collaboration event ever undertaken exposing billionaire havens that use shell and ghost companies in offshore circles to hide their wealth. However, though countries and names like Putin were mentioned in the article, the journalists neglected to mention any Americans personally or U.S. companies who are guilty of flying under the radar. In the meantime, the new and improved version of the “alternative news” is alive and well on the internet, while bloggers and journalists sift their way through numerous pages of information that would otherwise be censored, but then again, what if someone out there in the government became just simply enraged with all of it and pulled the plug.” It’s called internet blackout. Goodbye freedom of the press. Also see more of this historical take on, Censorship and Freedom of the Press.